University teachers will stage a token strike today against the Higher Education Ministry’s failure to solve their problems, based on an agreement the government entered into with them in 2012. 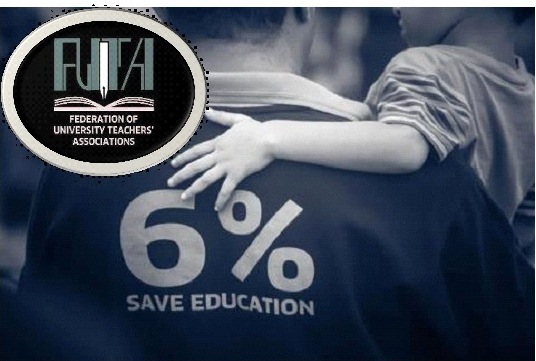 Secretary of the Federation of University Teachers’ Associations (FUTA) Dr. Rohan Fernando said that their main demand was the removal of restrictions on research allowance. "The ministry offered the university teachers a research allowance but it is audited," he said, asking how it could be audited if it was part of their salaries. Dr. Fernando said that about three weeks back the FUTA had informed the Higher Education Ministry and the University Grants Commission (UGC) of its decision to resort to trade union action, but there had been no positive response from the authorities. "We also demand a stop to harassment of students especially at the Sri Jayewardenepura and Rajarata universities, where many students have been suspended and expelled. Dr. Fernando said university teachers had only suspended their 100–day long strike in 2012 and they could resume it anytime. ඉල්ලීම් කිහිපයක්‌ මුල්කර ගනිමින් සියලුම විශ්වවිද්‍යාලවල ආචාර්යවරුන් ලබන මස 3 වැනිදා වැඩවර්ජනයක නිරත වන බව විශ්වවිද්‍යාල ආචාර්යවරුන්ගේ සමිති සම්මේලනය උසස්‌ අධ්‍යාපන අමාත්‍යාංශයට ඊයේ (13 වැනිදා) දැනුම් දුන්නේය. ඉන් පසුවත් පිළිගත හැකි ප්‍රතිචාරයක්‌ නොලදහොත් දැඩි වෘත්තීය සමිති ක්‍රියාමාර්ග ගන්නා බව සම්මේලනය පවසයි. පසුගිය 2012 වසරේ පැවැති වැඩවර්ජනය අවසානයේදී ආචාර්යවරුන්ගේ වැටුපට අමතරව ලබා දුන් පර්යේෂණ දීමනාව ලබා ගැනීම සඳහා වන කොන්දේසි වැඩි වෙමින් පවතින බවත් එහෙයින් මින් ඉදිරියට එම කොන්දේසි ඉවත් කර පර්යේෂණ දීමනාව වැටුපට එකතු කළ යුතු යෑයි ද සම්මේලනය අමාත්‍යාංශයට දැනුම් දී ඇත. එමෙන්ම විශ්වවිද්‍යාල ශිෂ්‍යයන් අසාධාරණ ලෙස මර්දනයට ලක්‌ වෙමින් පවතින බව ද මෙතෙක්‌ පීඨ සභාවල පැවැති ශිෂ්‍ය නියෝජනය මේ වන විට අහිමි වෙමින් පවතින බව ද සඳහන් කරන සම්මේලනය එම මර්දනය නතර කිරීමේ අවශ්‍යතාව ද පෙන්වා දෙයි. මීට අමතරව 2012 වසරේ පැවති ආචාර්යවරුන්ගේ වර්ජනය අවසන් කිරීමේදී ඇති කරගත් එකඟතා ගිවිසුම මේ වන විට කඩ වී ඇතැයි ද සඳහන් කරන ආචාර්යවරුන්ගේ සමිති සම්මේලනය රාජ්‍ය නොවන විශ්වවිද්‍යාල ඇති කිරීම සඳහා නව පනතක්‌ ගෙනෙමින් පවතින විශ්වවිද්‍යාල පනත හෑල්ලු කර ඇතැයි ද සඳහන් කරයි. මෙම ගැටලු නිරාකරණය කර ගැනීම සඳහා වෘත්තීය ක්‍රියාමාර්ග ගැනීමට සිදුවී ඇතැයි සම්මේලනය පවසයි.